When fishing for salmon as with any species of fish there are several different types of poles, tackle, and overall gear to make the experience more successful and enjoyable. The information provided here on our Lunker101 page is primarily for the beginning salmon and steelhead angler who’s interested in learning about what types of gear and tackle they will need to fish for salmon. The recommendations we offer here is for gear we use ourselves, and that we know works. The information provided is categorized below to help anglers better understand what they will need to get underway and of course catch more Lunkers. Fishing Poles: When starting out it won’t take long to find out that there are literally thousands of different kinds of fishing poles out there. When it come to fishing for salmon and steelhead you’ll need to find a specific kind of pole that will meet the rugged demands required for catching and landing fish that range anywhere from 5lb to 50lb. Most fishing poles will have specific data written on the side of the pole, very important data like, the length of the pole, the action, line weight and maximum lure weight. Depending on the type of salmon or steelhead your fishing and the terrain you will be in while you fish will determine the type of pole you should buy. For example when fishing small rivers that are heavily wooded with lots of trees around, I would recommend a shorter pole versus a longer pole. This is because when your beating the brush to get up river with a big long pole you’ll be snagging up on every tree branch in site along the way. For starters, I recommend a two piece pole for easy transportation. A two piece pole breaks down easy and can fit in virtually any vehicle. Single piece rods on the other hand can be difficult to fit in a car and are likely to whack you in your head as your driving down the road. Also for the beginning we recommend a spin cast pole vs a bait caster due to the fact that a bait casting real is much more difficult to use for a beginning angler and will cause more frustration than a desire to continue to fish. 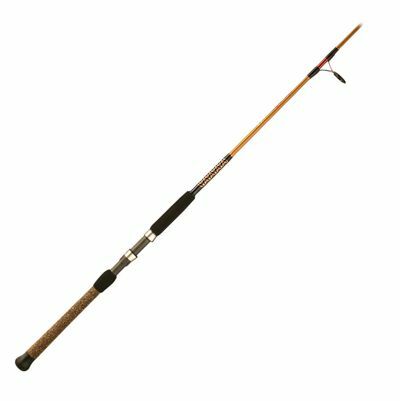 When bank fishing for salmon and steelhead in small rivers or creeks with lots of trees around, I recommend a two piece pole 6′ to 7′ in length, medium action for a nice feel, with a line weight of 8lbs-20lbs or 10lbs-20lbs for the bigger fish. For Larger rivers allowing more casting room a 8′ to 9′ pole will work fine, Medium action for feel and 10lb-20lb or 15lb- 30lb line weight. For fishing beaches, points and fishing off of piers the sky is the limit. With plenty of room to cast a 9′ to 11′ pole will do the trick, with a line weight from 10lbs to 50lbs is sure to handle anything that takes your bait. Another thing we all have to consider is budget. A fishing pole can run from $25 to over a $1000. Granted for starting out you can go on the cheep, it really isn’t necessary to spend more than a $150 for a great pole and reel. My personal set up that I have used for the last 5 years is an Ugly stick Salmon and Steelhead ultra lite Pole with spin cast Penn Pursuit 50 reel. I love this combo it is the ultimate affordable set up that has killed tons of fish in the name of smoked Salmon. 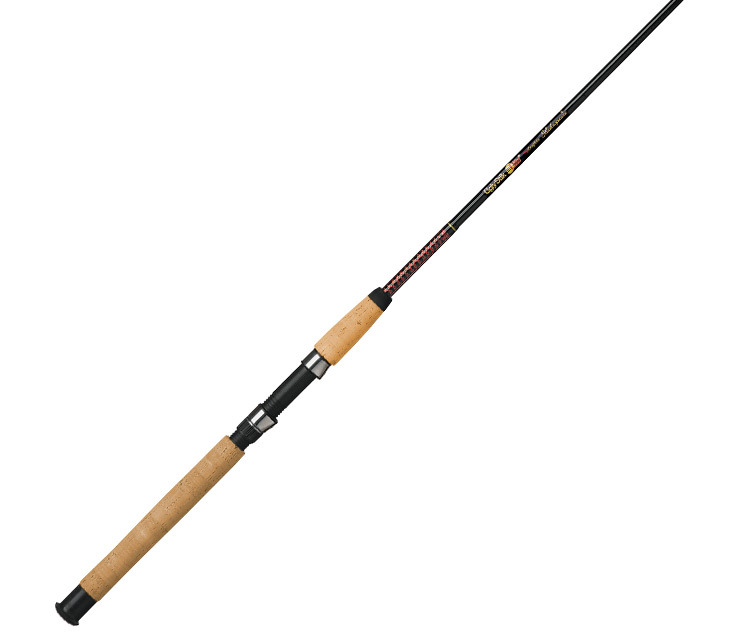 This year I will be going with the Ugly stik tiger with the cork grip and a Penn fire 60 reel. This should be a rockin set up for any salmon or steelhead. It’s a one piece pole set up for 10-20lb test. and the reel goes up to 25lb test for a perfect combo and guaranteed Salmon slayer. Both of these pole and reel set ups will only run about $150- $165 which is a great deal for this gear. When it comes to fishing reels the most important thing anglers need to consider is that the reel will match the line weight of the fishing pole being used, most reels have a recommended line weight and capacity written on the spool. There are many different types of fishing reels available to anglers’ today, but among the most common are, fly fishing reels, bait casters, spinning reels and closed face. In regards to fishing for Salmon or Steelhead a closed face reel is not recommended. Although closed face reels are probably the easiest to operate they’re generally not very rugged and tend not to be able to handle the line weight required for salmon and steelhead fishing. Fly fishing reels are rugged, but fly fishing is a whole different ball game and has its share of complications. Fly fishing is generally more geared for trout, but not so great for salmon. Fly fishing poles tend to be pretty flimsy, due to the fact an angler needs to whip the line back and forth to get the bait or fly to the location an angler wants to cast. This makes fly fishing poles not as strong when it come to heavier fish. There are however some fly fisherman whom love to fish for salmon. I personally do not recommend it for those who want to catch and actually retain their fish. On the other hand if your into catch and release, a fly fishing set up could be just the ticket. If you lose a fish or two who cares you were going to release it anyway and if it breaks your pole in half you’ll have a great fish story to tell. 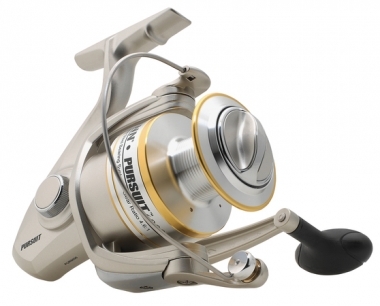 Bait casting reels or bait casters are the most rugged of all reels and can be cast the farthest as well. The only down side is that you have to be trained fairly well in the art of holding the thumb right close to the line when you cast or the reel can backlash causing your fishing line to snare up into a huge birds nest rendering the reel useless until you clear the line and re-reel it in. Due to this fact many anglers use bait casting reel for trolling because it does not require an angler to cast with it. 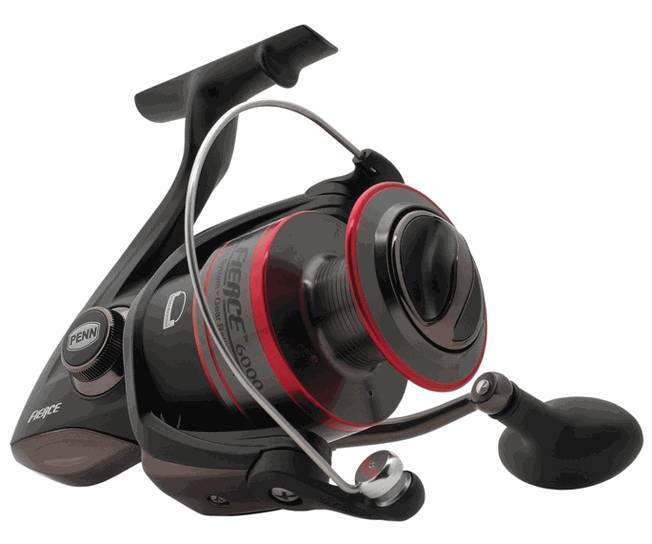 Lastly you have the open face also known as the spinning reel this reel offers the best bang for the buck. It’s easy to cast and is rugged enough to drag in a 50lb fish just fine. Although the heavier reels tend to be big and clunky they operate impeccably and is what we recommend for salmon and steelhead. As far a cost open face reels can run anywhere from $20 to $250. We suggest something in the middle of the road like a PENN real. I have used pen reel since I was a kid when caught my first salmon on a Penn reel bait caster it was a 32lb salmon to boot. 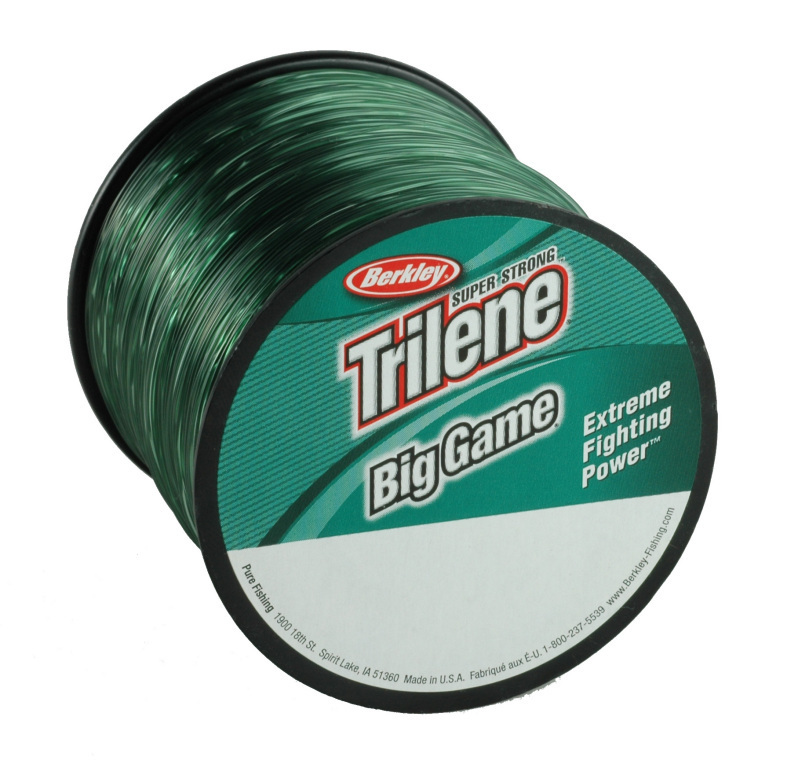 Best Tackle: When is comes to tackle the most important and many times overlooked is fishing line. There are a few schools of thought on this one. Some guys use 12lb test to fish for salmon and steelhead but I guarantee once they set the hook into a real Lunker they are far more likely to get broken off. 20lb test is what we at Lunker’s guide recommend. Very seldom will you get broke off by any fish from 8-15 lbs and if you play it right you should have no problem with fish 20-30lbs as well. 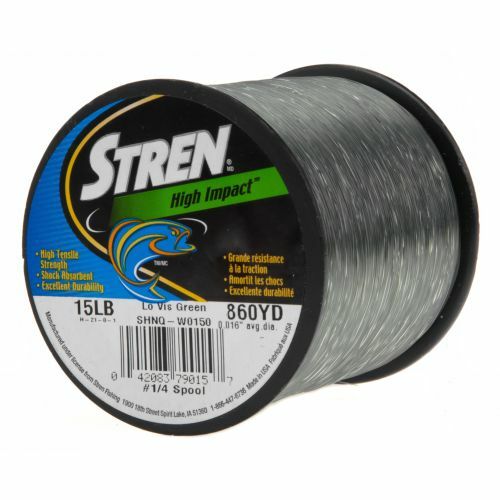 The best value for the money is Stren or Berkley Trilene is a great value and we recommend to go with the greens as most Pacific North West water are either green for muddy brown. If you have a strong desire to purchase more expensive line or braided feel free to do so but it’s totally not necessary. Stay away from cheap fishing line like ZEBCO. You’d be better off throwing your money in a garbage can. Cast and Retrieve – Is your basic pitch it out there and reel it in method. Plunking – Allowing heavy weight to hold bait on bottom. Also known as arm chair fishin. Drifting – Allowing the set up to drift on top or off bottom of the water way being fished. Trolling – Fishing from a moving vessel, generally at a consistent and controlled speed. are Herring, Sardines, Anchovy and Candlefish. Also Salmon Eggs, Sand Shrimp, and Night Crawlers. Spinners, Point Wilson Dart, Brads Super Bait, Jigs, Buzz Bombs, Corky, Yarn, and Beads. Colors vary depending on the area your fishing. It’s always best to bring a good selection with you so you can try different gear and see what works best for you. If you’re not having much success, generally fellow anglers are willing to show you what is working for them you just have to ask. This is some of the basics to get you going, more advanced Salmon and Steelhead fishing methods can be learned by attending various fishing clinics or by hiring a good fishing guide who can teach you the ropes for the area’s they specialize. *** If you are looking for a Guide check out our Fishing Guides Page!